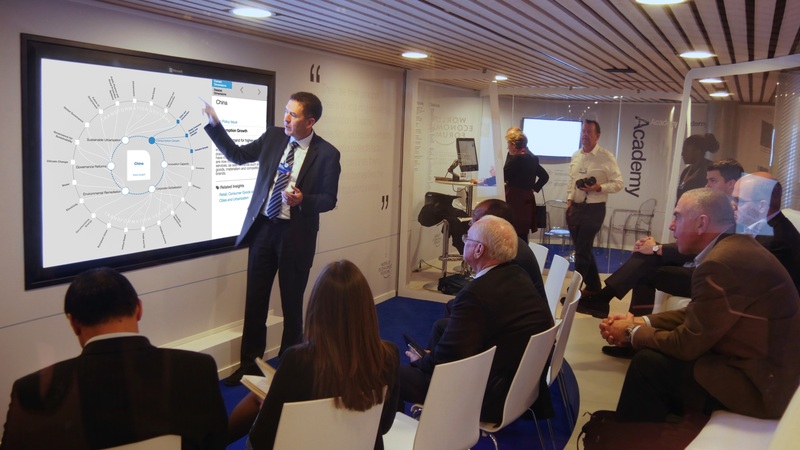 At the World Economic Forum Annual Meeting in Davos (2015) we launched a unique new knowledge product which maps over 100 Global Issues, Economies and Industries, as well as the Key Issues that define them and transmit change between them. You can see me demoing it on our 82-inch touchscreen in the video below. Delivered via data visualisation and an intuitive interface, Transformation Maps form a strategic product for global leaders to understand systemic, interconnected, and disruptive global transformations. The main interface is for widescreen presentations in strategy meetings and in board rooms. It was intuitive and informative enough that we had CEOs returning with colleagues and other heads of industry to demo by themselves. I led the product’s concept development and build, taking it from a blank sheet of paper through prototyping and into production in a few months. The bespoke data visualisation went through many iterations, to make sure it became simplified enough to be intuitive and clear. The prototye process also enabled us to gain buy-in from the dozens of our internal teams involved. We created administration interfaces which let them see their topic-focussed contributions come to life within data pages and visualisations. They were then able to compare the work submitted by their peers. I had a strong enough vision for the product that I also mapped out and produced its communications collateral, the narrative to describe its features, and the physical environment it was displayed within in Davos. In between demonstration sessions, the main video above was played on a loop to describe the product to participants. The team I put together and managed was small, global, and fast. A data visualisation consultant and a D3.js developer were in Germany. A designer, front end coder, API developer, and video animator were in Australia. A collaborating colleague from the World Economic Forum and I were in Switzerland. Using D3.js we built the interactive visualisation from the ground up. 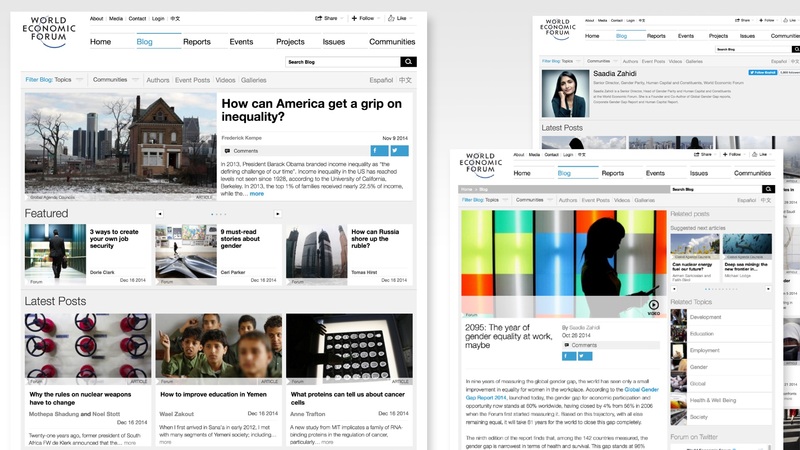 The prototype and administration interfaces were built using WordPress. Beyond this core team, dozens of industry, issue, and economy focussed internal teams reached out to a pool of hundreds of global experts within the World Economic Forum Network, and helped make this a ‘wisdom of the experts’ digital product.